Time is always at a premium, which includes time to sit down and plan healthy, affordable meals for the week. One habit that can help make planning a breeze is having reliable kitchen staples on hand, ready to create quick, healthy meals. Check out these 20 local staples and how they can help you prepare go-to, everyday meals. 1. Apples: Eaten whole for snacks or baked into delicious desserts, apples serve up versatile nutrition in most kitchens. But they also can play a role in savory dishes. Try adding chopped apples to salads, savory soups and stews, and New Mexican favorites like burritos, carne adovada, and calabacitas. 2. Beets: Seasonal for most of the year, vibrantly colored beets are an antioxidant powerhouse that provide a health boost. They roast well as a side dish, especially when mixed with other local staple vegetables like carrots and potatoes. 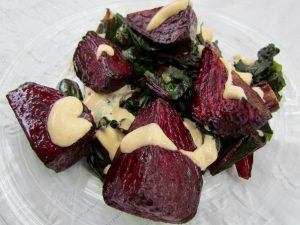 Beets can also be roasted in advance, ready to include in a salad such as Beets with a Creamy Red Chile Dressing. A creamy red chile dressing is a delicious topping for sweet beets! 3. Carrots: From purple to red to white, local carrots come in a variety of colors besides orange! But no matter the color, carrots provide a healthy, high fiber kick to most meals. Carrots can be eaten raw, roasted, boiled, and pureed. They’re also a delicious addition to smoothies. For a different twist, try this recipe for carrot soup. 4. Chiles: It’s the rare New Mexican kitchen that is void of chiles! And few would argue that chiles can be incorporated into any delicious meal. Added to soups and stews, baked into quiches, or topped on burgers, chiles lend a delicious kick to just about any meal. Chiles are great candidates for buying in bulk and preserving for future eating. Check out this guide for dehydrating your own! This recipe for Burger Stuffed Green Chiles is delicious, and this one is an unexpected surprise that quickly turns into sticky finger food! Cutting the green chiles into boats make them easy to fill with a variety of foods! 5. Chili powder: Along with preserved whole chiles, farmers throughout New Mexico can be found selling a variety of chile powders, which can elevate even a humble bowl of beans and rice to a new level. 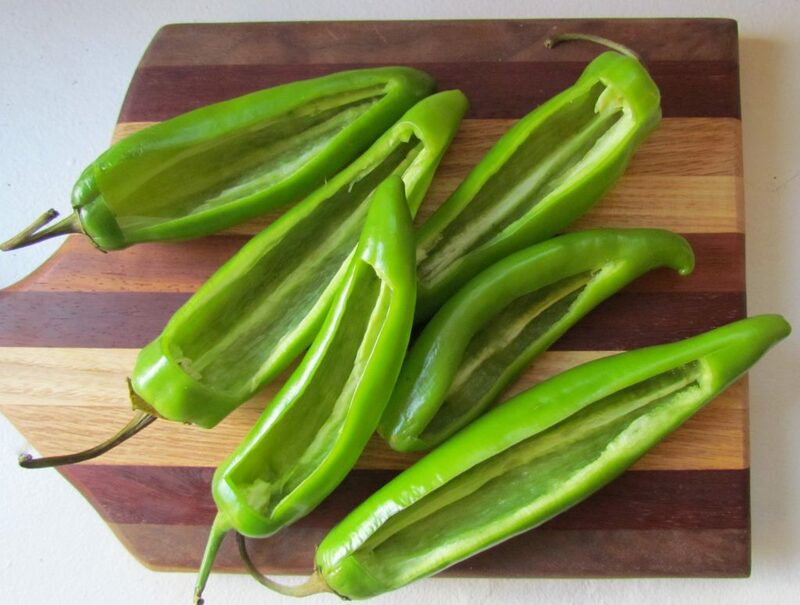 Find a local farmer who sells dried, powdered chiles and select from red to green, hot to mild. Local chile powders provide mild to hot flavor boosts to any meal! 6. Cooking greens: Kale, spinach, chard, and collard greens can be found almost year-round from New Mexican farmers. Sauté them in butter and local garlic for a simple side dish, add them to burritos for a nutritious boost, or bake them into quiches for added flavor. You can also turn them into a delicious Mixed Greens Pesto as a topping for baked potatoes, pasta, and even crackers. And don’t forget to learn about storing your greens here. 7. Corn: You can boil it, roast it, sauté eat, grill it, and even eat it raw (try it…it’s delicious)! The versatility make corn an easy add-in to help turn a dish into a meal, such as this quiche recipe. Harvest season is the time to eat it raw and grill it. It’s also the season to preserve it for eating during the rest of the year! Learn more about different food preservation methods here. 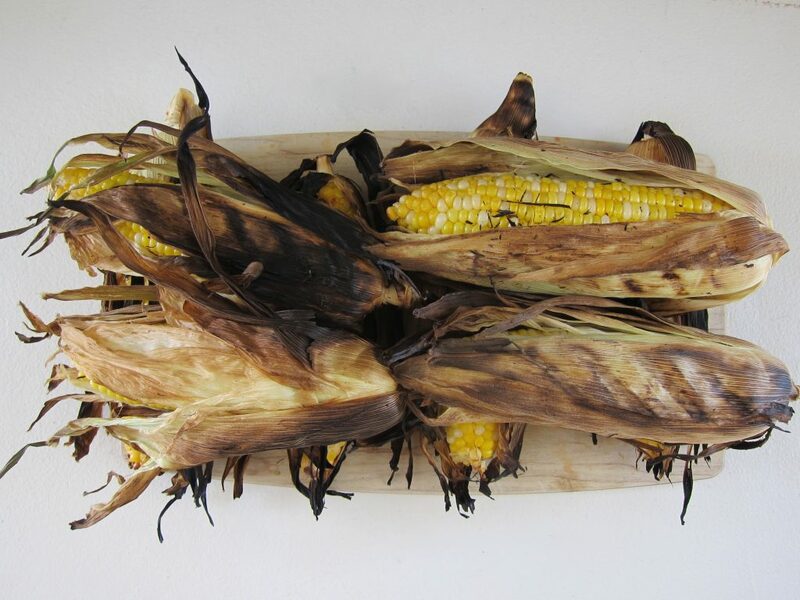 Grilled corn on the cob is a special treat during summer, but fresh corn can be preserved to eat during the winter. 8. Dried beans: From slow cooker to stove top, dried beans are not only frugal and low-maintenance when it comes to preparation, they are amazingly nutritious. Be choosy about the dried beans you purchase; local dried beans are a lot fresher, and will cook up more reliably and deliciously, than dried beans that have been on a grocery store shelf for months on end (or longer). The older a bean is, the more dried and flavorless it becomes. And while canned beans cook up quicker than dried beans, they will never, ever compare to the taste and nutrition of dried beans, simmered to perfection in a slow cooker or stovetop in your own kitchen. 9. Eggs: From salads, to easy soufflés, to quiches, to desserts is there any meal that can’t include eggs? And since eggs have once again reclaimed their rightful spot as a healthy addition to everyone’s diet, they can be eaten freely in a wide variety of everyday meals. But for the best tasting eggs, which also rate high on the animal welfare scale, choose local eggs from hens that are pastured (meaning they can run around in the grass and sun). 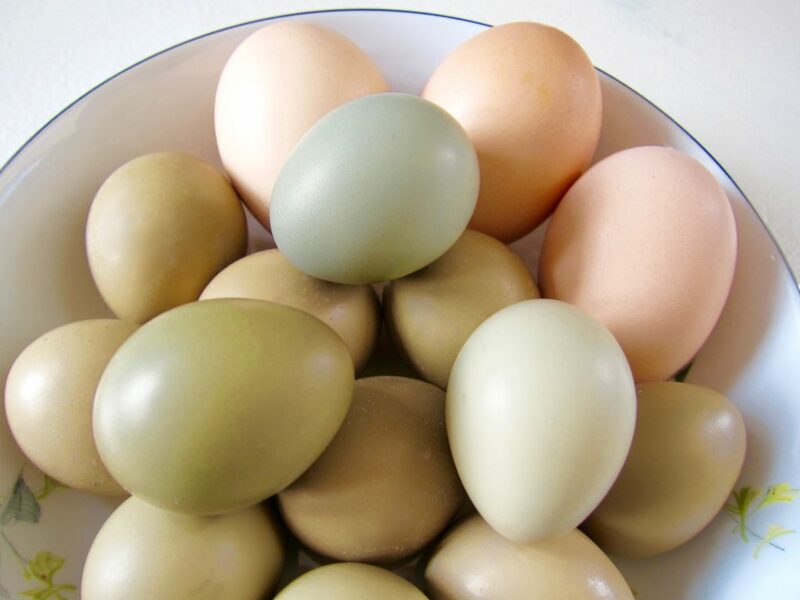 Local eggs not only come in a variety of colors, they frequently are more nutritious than store-bought. 10. Fresh herbs: Herbs — such as oregano, cilantro, basil, thyme, mint, and more — add a flavor boost that can turn a ho-hum recipe into a true flavor bonanza. The secret is to keep it simple. Sometimes one herb with a little salt and pepper is all it takes, but if you’re the adventurous type try not go beyond three herbs in one dish for the richest flavor. During the growing season local farmers sell a plethora of fresh herbs, and summer is the time for fresh eating! It’s also time to buy those herbs in bulk and preserve them for when fresh herbs are tough to find, except from farmers who have extended their growing seasons with cold frames and hoop houses. 11. Garlic: Garlic is a great keeper, which means it can be purchased in bulk from local farmers at harvest and stored for up to a year (learn about the different ways to store garlic here). Use fresh garlic as you normally would in your recipes. But do try whole garlic heads, which can be roasted for a mellow flavor that goes great smeared on bread or crackers. Garlic stored using other methods can be added to dishes as designated in most recipes (usually chopped and added to sautés, stews, roasts, etc). 12. Honey: As far as sweeteners go, it’s tough to beat local honey. Raw, unfiltered, actual honey (as opposed to the iffy products on store shelves that are frequently cut with corn syrup), honey can serve as a substitute for refined sugars in beverages and many baking recipes. It can also make an appearance in many dinner recipes, such as this delicious one. Local honey has its own flavor depending upon the species of plants the bees are visiting, so try several kinds and see which you like the best (you might find that one local bee keeper sells honey that is especially good in coffee, while you like the honey sold by another on toast). 13. Jam: Local food producers around the state can be found selling jams featuring New Mexico-grown fruits at farmers’ markets, farm stands, and grocery stores that buy local. Jams are good to have on hand for quick desserts, adding to muffins or scones, smearing on sopapillas or fry bread, or adding to fresh yogurt. Eaten in moderation, jam — along with honey — rounds out the sweet tooth of local foods. 14. Lettuce: Lettuce should really be eaten every day, whether it’s on a sandwich or (preferably) in the form of a fresh salad. And with the use of greenhouses and other growing season extenders by local farmers, it’s easier than ever before to find fresh, local lettuce even in the dead of winter. 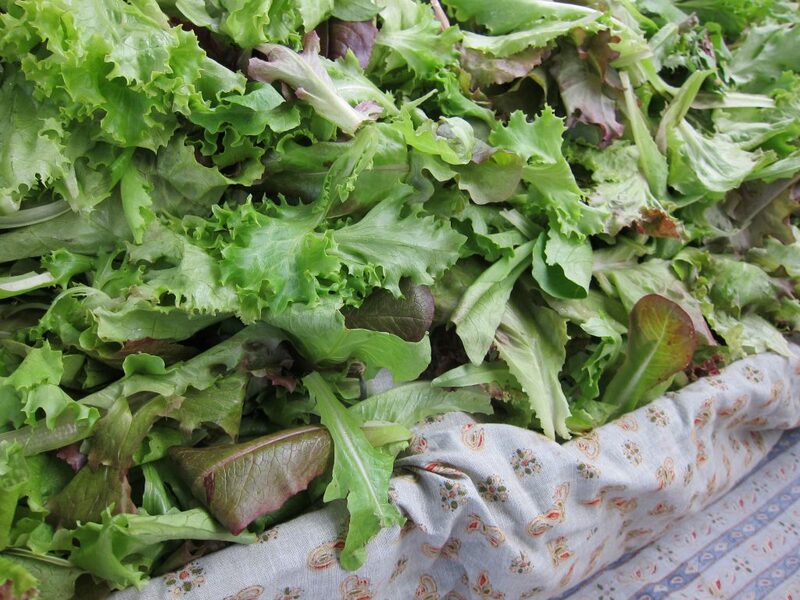 Check out how to properly store lettuce and other greens here. Local lettuce can be found year-round, thanks to farmers extending their growing season with hoop houses and other methods. 15. Onions: Every cook depends on onions to flavor dishes, and the varieties grown locally are always extra flavorful (because they’re fresh). Look for super sweet Jumbo Candy Onions with golden skin and white flesh, Spanish Onions, Walla Walla Sweets, and more. Depending upon whether they are sweet onions or strong, they can be chopped and sliced for eating raw or adding to any dish, from morning eggs to evening tacos. Try roasting them, or try this recipe for onion soup. 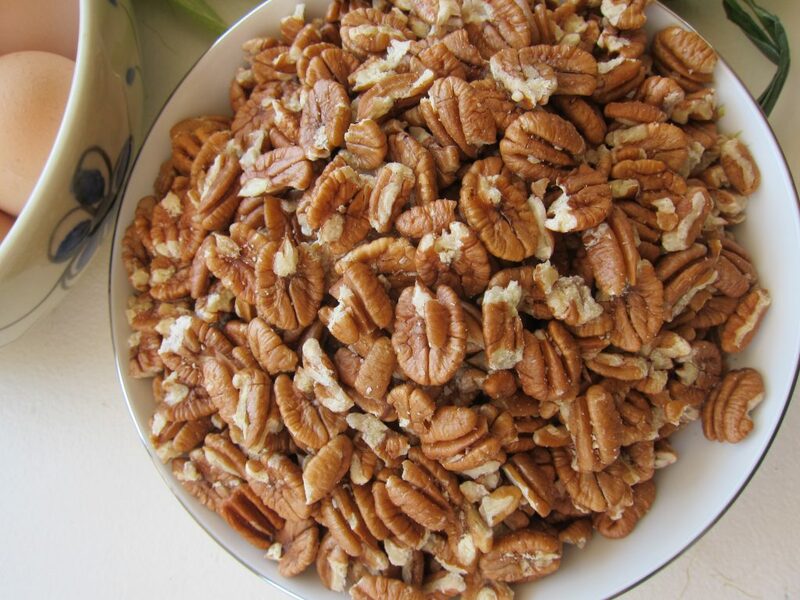 Pair local pecans with seasonal fruits as part of a delicious snack. 17. Potatoes: Potatoes, be they white, blue, or orange, are one of the most versatile vegetables to have on hand for easy meals. They are also very affordable, filling, and nutritious. They can be roasted, mashed, or chopped and added to pretty much any dish. They can also be used as an ingredient to make tortillas, or included as a filling in tamales. Potatoes can even be eaten on their own, and served with a topping like Mixed Greens Pesto, or just butter, salt, and pepper. 18. Squash: Squash are available almost year-round in New Mexico, from summer squash during the growing season, to winter squash the rest of the year. Squash can be eaten raw when young, baked into breads and muffins, roasted, turned into soups, and chopped as an addition to salads or stews. They can serve as a carrier for other foods, and included in mainstays such as burritos. And, of course they are the star in calabacitas. Read about summer squash here and here, learn how to roast squash here, and make these delicious Spaghetti Squash Tamales. 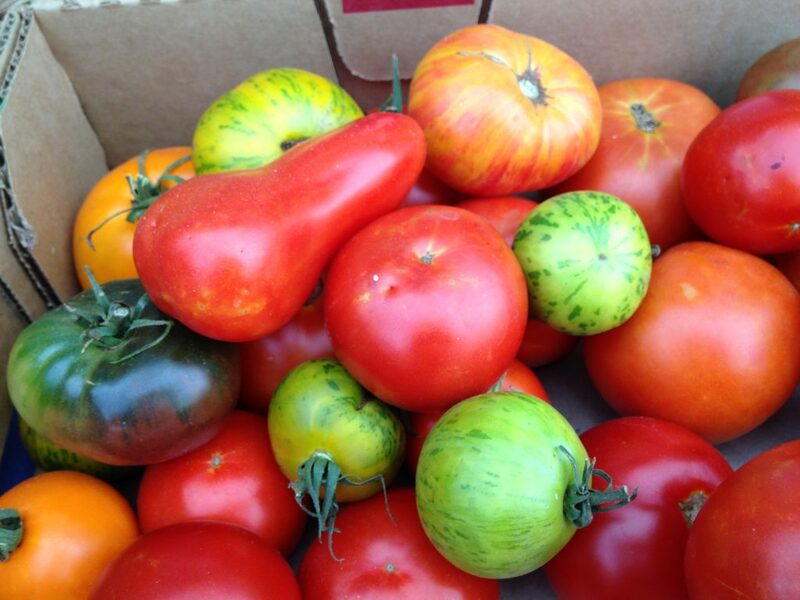 Local tomatoes are colorful and flavorful, and deserve the time to preserve them for winter eating. 20. Tortillas: Thankfully, there are many farmers’ markets and farm stands in New Mexico that sell the best tortillas possible. Homemade tortillas serve up a variety of meals and snacks, from tortilla chips to burritos, enchiladas, and simple sandwich wraps (just to name a few). Whether you like corn or flour, its worth investing in fresh, local tortillas rather than the mass-produced variety, which frequently lack flavor.